We are committed to raising the bar of trust and professionalism in the security industry. Our company is built on conducting business fairly and maintaining a high level of integrity in everything we do. If you don’t see your particular needs for investigative services listed here please contact us. 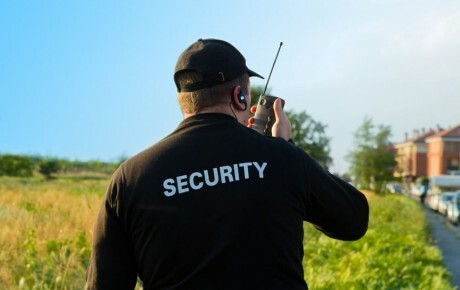 Uniformed security services from Core Security Solutions provide highly qualified armed and unarmed staff for your security and risk management needs. Each site receives a detailed security assessment specific to the needs of the client. Foot and mobile patrols are available along with communications and GPS monitoring upon request. Our security and investigative specialists can provide your business or event with a detailed security assessment focused on objectives and protocols specific to your needs. Our experience in security, investigations, and risk management allows you , your employees and customers to remain focused on your business with peace of mind. Core Security Solutions will assist your institution by delivering professional and superior service while providing you peace of mind. Core Security Solutions provides executive and personal protection services. We utilize plain clothes, armed and unarmed security specialists with honorable police and military backgrounds. Our close protection staff is trained to analyze, recognize, and prevent potential threats before they occur, while providing inconspicuous and discreet personal protection services. We are committed to raising the bar of trust and professionalism in the security industry. Our company is built on conducting business fairly and maintaining a high level of integrity in everything we do. If you don’t see your particular needs for executive and personal protection services listed here please contact us. Core Security Solutions provide patrol and alarm services that are available 24 hours a day. These services include escorts and security checks to observe and report suspicious activity. Mobile and foot patrol services provide an effective crime deterrent. Our security staff is trained to complete comprehensive incident and informational reports to provide our clients with the up to date data critical to pro-active risk management. GPS tracking options are available to enhance your overall security service. We now also provide cannabis services such as security assessments, product/proceeds transports, and warehouse and dispensary security. Please view our flyer here.